With Easter coming up soon, now’s the perfect time to start thinking about your Easter celebration or lesson!Packed with dozens of fun, hands-on, and interactive activities, games, and crafts—this incredible book gives you multiple ways to share the Easter story with your kids (and the kids in your community). Whether you use these activities before your lesson or use them to plan a special Easter event, enjoy having everything you need at your fingertips—from snack ideas and lessons to reproducible “invite flyers” and teacher tips. Appropriate for ages 5-10. Fully-Reproducible. Step-by-Step Leader Planning Guide (Explains how to use this book for an outreach, celebration event or lesson. Covers everything from start to finish). For 4 Days Only! Save $12! Get this Easter Activity Book for just $4.99. Don’t Wait! We have a limited quantity in stock. Offer good while supplies last. Why do we celebrate Easter? Some kids will instantly say Jesus! First-time guests may think of the Easter bunny. While others can’t help but think of chocolates and candy. How can you make sure your kids know Easter is all about Jesus? Enjoy having 4 free hands-on games and object lessons on the Easter story that will make the story of Easter easy-to-understand and memorable! From the “clean penny” object lesson to the “cotton ball” relay, each Easter activity includes a Bible reference and easy-to-follow instructions. Appropriate for ages 5-10. Perfect for children’s church, community outreach, Sunday School, homeschool, after-school sessions, and kids ministry! Feel free to share this free download with others! This free download includes just 4 activities from UnBunny (Easter Activity Book), which is packed with over 65 games, relays, crafts, activities, lessons, and even snacks ideas that share the Good News of Jesus. Save over 70% on this incredible reproducible book today. What is one lesson you know you will teach every year?…The Easter Story! Experience the convenience of having over 65 activities, games, crafts, and snack ideas on the Good News Message at your fingertips. Use this incredible book during Easter time (or all year long) as you share about Jesus’ Death and Resurrection. 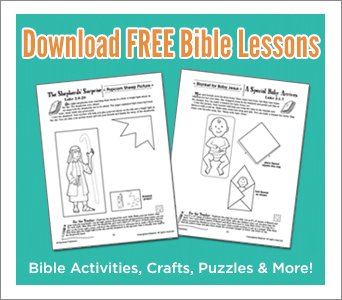 Each activity is quick-prep and includes step-by-step instructions, a Bible reference, and reproducible patterns. Kids will LOVE not just hearing the Easter story—but engaging with it through hands-on activities. Perfect for Kid’s ministry, VBS, homeschool, or for parents wanting to teach their kids more about God. Includes step-by-step resource on how to create a week-long Easter celebration at your church. Whether you use these activities in your Easter lesson or use them to plan an Easter outreach for kids, this book’s flexible use will have you turning to it for ideas year after year. Don’t Wait! Save $12 For 4 days Only! Save 70% on this Easter Activity Book — Just $4.99 (Reg. $16.99). Offer good while supplies last.